Social Ride this Sunday – Woodend! although this can be altered depending on weather, who turns up etc. 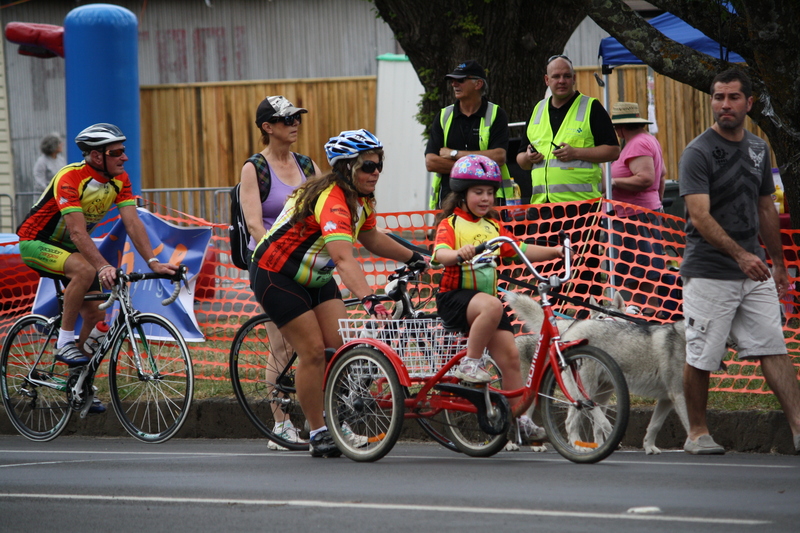 This week our social ride will be starting from Gisborne. Meet at Wheelspeed Cycles, 4/50 Aitken Street, Gisborne at 8:50am, for a 9am start. There will be 2 ride options this week, both going out around the Barringo Valley. The shorter route will go out, round the Barringo Valley and back to the shop again, about 30k. The longer route will go out to Woodend, over Mount Macedon, around the Barringo Valley and back to the shop. Hopefully we will all be back at the shop at roughly the same time to go for a coffee. Thanks to everyone who came along on the social ride today! It was a challenging circuit, but the weather was good, and everyone enjoyed a well earned coffee and cake back at the Emporium. Next weeks ride will be from Gisborne, stay tuned for further details! As always, we’ll meet at 8:50am for a ride briefing, and leave at 9am. At the end of the ride, we’ll have a coffee at The Emporium. Look forward to seeing as many members as possible! The 2013 calendar is now available on the Club Calendar page. Click here to see the calendar. There is also a PDF version to download and print out – click here for the PDF. This Sunday will see the start of our weekly Sunday Social Rides. These social rides will alternate between starting from Kyneton, Woodend and Gisborne. Generally there will be 2 ride options available, a shorter, easier paced ride, and a longer, slightly harder and faster paced ride. The rides will always include a coffee stop, and will be relaxed and social in nature! We encourage all members to attend, regardless of riding ability or fitness level. This week (Sunday 13th), the ride will be starting from Woodend Railway Station. We’ll meet in the car park (the larger one, furthest away from the centre of Woodend) at 8:50am, with the ride leaving at 9am. The route will take us along Ashbourne Road to Trentham, where we’ll stop for coffee and cake. The shorter ride will return to Woodend (via Ashbourne road again), while the longer ride will go back to Woodend via Lauriston Reservoir. First of all I want to wish you a very happy and enjoyable 2013. May it be all that you could wish and hope for! Attached is the club membership for with a resume of choices you can make as regarding membership. The club has gone through a difficult year. The coming one may be as difficult but we can look forward to new things are happening for the better of the club overall. We have to decide at the Tuesday February 5th meeting how best we can put the Volunteers grant to best use under the guidelines for spending it. Put this date in you diary. Another date to include in your diary for February, is Friday 15th. We have been granted, once again, an opportunity to take part in the Kyneton Bowls Club Charity night. It is expected that the club has at least 10 members present on the night. On the 15th March we receive all the profit from the raffles held on our night. So tell ALL your friends, relatives and neighbours to come to support the club on the Friday 15th February. I anticipate to recommence velodrome sessions on Tuesday 15th January @ 6pm. So Come one come all .